The self-styled disruptor of British banking will raise 350 mln pounds at a yet-to-be-determined share price to fix a capital glitch. Slower growth and higher costs will hurt its already weak profitability. With regulators investigating, new investors will need a steep discount. Britain’s Metro Bank said on Feb. 26 it plans to raise 350 million pounds ($464 million) in a shareholder cash call, a month after an accounting error wiped hundreds of millions of pounds off its market value. The lender also disclosed that regulators at both the Financial Conduct Authority and Prudential Regulation Authority had notified it that they intended to investigate the circumstances around the blunder. The bank said the equity raise was expected to be launched in the first half of 2019 after consultation with shareholders but gave no details of pricing. Metro said it had a standby underwriting agreement with RBC Capital Markets, Jefferies and KBW for the cash call. Metro Bank said it would target annual deposit growth of 20 percent in future, and a loan-to-deposit ratio of between 85 and 90 percent. It plans to open eight branches a year, and expects a “low double-digit” return on equity by 2023. Risk-weighted assets at the end of December were 8.9 billion pounds, 52 percent higher than a year earlier. This included a 900 million pound increase related to changes in risk weightings on commercial property loans and buy-to-let mortgages. Metro Bank’s common equity Tier 1 capital ratio was 13.1 percent, down from 15.3 percent. 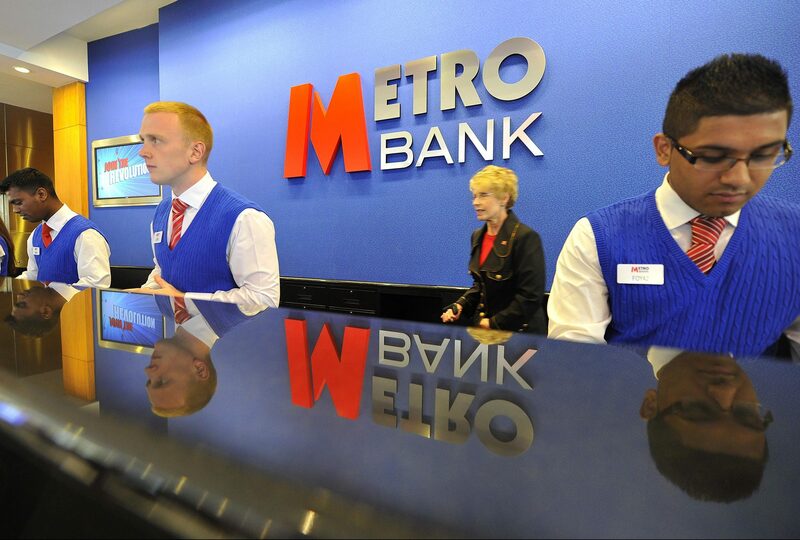 Metro Bank shares were trading at 10.40 pounds, down 20 percent, by 0845 on Feb. 27.